Facebook has revolutionized the way that businesses and brands connect to consumers. 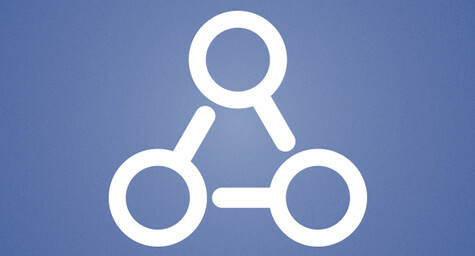 Now, Facebook has made it easier than ever for businesses to be discovered by consumers with the launch of Graph Search. This innovative new search feature will enable people to look for businesses and brands that are favored by their friends. While consumers will appreciate the ease of searching and discovering new places to go, this is ultimately a huge boon to businesses since it will expose them to a much larger audience and give them the competitive advantage of being recommended by the user’s social graph. Research has shown that having the social approval and recommendation of friends carries a substantial amount of influence and positive association that no amount of advertising can buy. With the arrival of Graph Search, businesses can take advantage of that ‘halo’ of social approval. In addition, brands that currently perform well on Facebook and have active engagement with their customers will rank even better with the new Graph Search. Facebook-Studio.com and TheVerge.com reported on how this new Facebook feature will help businesses and brands reach a limitless new audience of potential patrons. Mark Zuckerberg announced the new search feature during a Facebook media conference yesterday. He described how Graph Search is the social media network’s newest way for users to glean insight from its 1 billion members, 240 billion photos, and 1 trillion connections and discover the people, places, photos, and interests that are most relevant to them. He also explained that Graph Search is much different than Web search because this new feature is designed to search for specific content from a narrow query, as opposed to the more general Web search that provides a broader range of results. Graph Search uses an advanced series of filters to sort through factors like relationships, locations and personal interests to ultimately deliver much more intuitive and personalized results. These results are sorted by the people that users interact with most, followed by mutual friends and total engagement to provide users with information that is most popular among their social graphs and most relevant to them. Graph Search will appear as a larger search bar with the ‘f’ logo at the top of each page, which will replace the previous search bar. Users can type in anything they’re searching for and Graph Search will filter through their social connections to deliver personalized results that are most pertinent to their queries. Facebook will still provide access to traditional web search through the company’s partnership with Bing. In addition to highlighting and exposing businesses to new audiences, Graph Search will also be a powerful recruiting tool for businesses. It will enable companies to start their recruiting efforts by searching through the friends of current employees, which will provide the assurance of personal recommendations from employees they already know and trust. Rival LinkedIn is commonly used for this purpose, so the addition of this capability should help Facebook rise in the ranks as a business networking tool as the company strives to expand beyond the social sphere and position itself against other business-focused networks like LinkedIn. Graph Search is currently only in limited beta release and includes a limited array of actions. It will roll out gradually over the next few weeks and months with the addition of mobile access, more languages, posts, Open Graph, and much more. Privacy continues to be a priority for Facebook. The social media network allayed any concerns over possible privacy violations with the new feature by explaining that users will only be able to see information that they could previously view elsewhere on the network. Read more at Facebook-studio.com and Theverge.com.